I’ve recently had several people ask me to do a video on how I like to split warp chains. I love color and use a lot of dyed warps, sometimes tying on multiple warps so many times I don’t use an entire warp and I end up with left over threads that I can use later in another project. Here’s a link to a short Youtube video that I made. In the video I’m dressing my eight shaft Baby Wolf loom and I’m tying on to a dummy warp that is threaded for Keep it Simple towels. 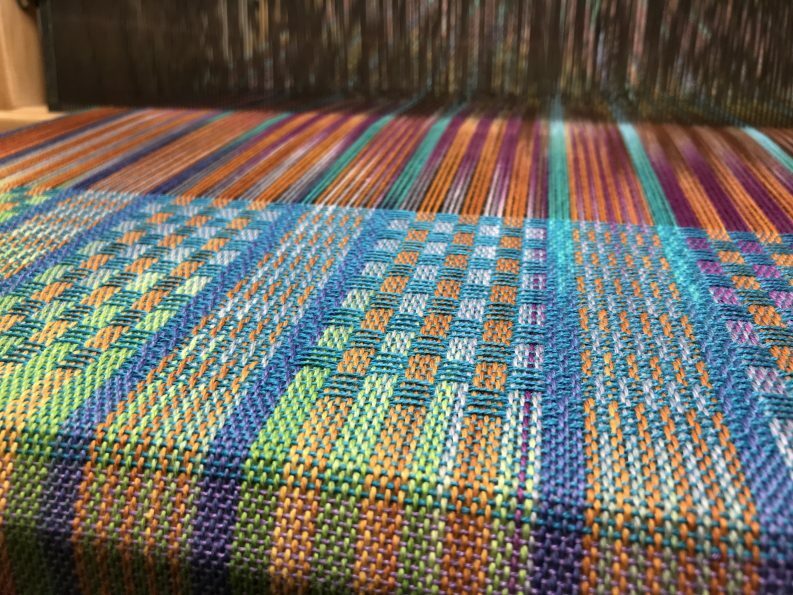 This will be the second time I’ve dressed this loom for these towels and I’m hoping to have some ready for Christmas presents :-)!